Guranteed best offer for Bulk order. We are the most consistent manufacturers, suppliers, traders, exporters and distributors of a wide range of plasm products and the offered range of Cut 40 Plasma Torch Parts are in wide demand. Our clients have been widely appreciative of the product quality and have been in consistent demand of these products. Plasma Consumables Cut40, Cut60, Cut100. Cut40 plasma Cutter, Cut60 plasma Cutter parts. Lgk40 plasma Torch parts, plasma Consumables cut40. We are one of the prominent suppliers of a wide range of industrial plasma fittings and in this range we are offering Cut 40 Torch Parts. The offered range has been made from the best quality raw material for a perfect finish. 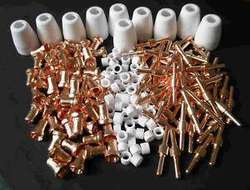 Our parts are available to the customers in a wide variety of specifications. We are a stalwart company engaged in qualitative manufacturing and supplying a wide assortment of Cut 60 Plasma Torch Parts. 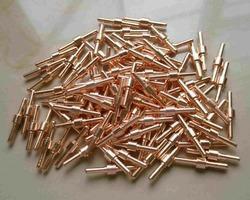 In order to ensure better performance of these parts we have made them from quality raw material. The offered product range comprises of various kinds of parts that are useful in optimum cutting. These industrial plasma parts are available in their best competitive market price. India's largest supplier of Plasma Consumables, Plasma Torch Consumables, Plasma Torch Manufacturer CUT 40, CUT 60, CUT 80, CUT 100, CUT 160. Cut 160 Plasma Torch, Cut 160 Plasma Consumables, Cut 160 Plasma parts. 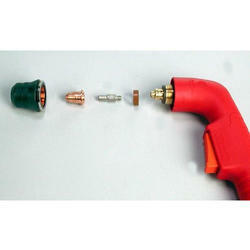 P80 Plasma Torch, P80 Plasma Cutting Torch, P80 plasma torch Consumables etc. Cut 100 Plasma Torch, Cut 100 Plasma Consumables, Cut 100 Plasma parts, Cut 160 Plasma Torch, Cut 160 Plasma Consumables, Cut 160 Plasma parts. 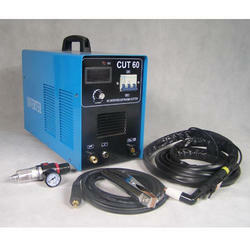 P80 Plasma Torch, P80 Plasma Cutting Torch, P80 plasma torch Consumables etc. Looking for Cut 60 Plasma Consumables ?